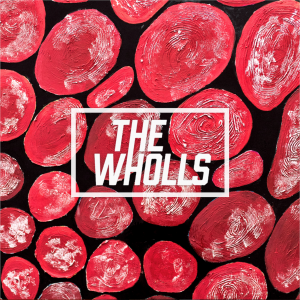 THE WHOLLS ARE TAKING OVER…… (Born in England, Raised by Italy but…) MADE IN GERMANY!!!! To celebrate the release of our VERY FIRST RECORD we’ve invaded the rock.de offices, given everyone the day off, ordered pizza and taken control!! Ours is a story of passion, of hope, of love and of rock’n’roll………. So I guess we should introduce ourselves? 4 boys from Bedford, England. 2 cousins (Tordy and Santino) and school mates (Joe and Danny), we’ve spent the last few years gigging from the smallest, sweatiest toilet gigs to BBC Radio 1 stages, a European tour and countless festivals. All the time writing and getting a bunch of songs together we call an album. It’s been an amazing personal journey for us up to this point and now we’re ready to share it with everyone that’s been with us for the ride and the many more that we want to hear us. It goes without saying that we’re super damn proud to get this album out there. 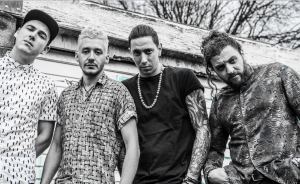 Live, our tunes have got hooky choruses, big guitars but take from not just indie and rock but funk and hip hop elements too for sure. For our first album we really wanted to get all that in there so if (when) you come see us live (which we whole heartedly recommend!) you’ll get all of that and more. From the songs themselves to the album artwork and our DIY videos, this is our sound and could be no other. The only thing we need is for you to come and see us live and join the party, we promise you will not be disappointed. There’s a story that people keep asking us if it’s true. They heard that we had no manager and to get one we found our target, sent Danny round to his house to give a false quote for gardening services then, having checked the place out, we returned at dawn one morning, set up all our gear on his lawn and belted out a load of our music ’till he calmed down and signed us up. It is 100% true and we’ll live by that approach ’till someone chases us off their property with a shotgun. ……welcome along for the ride!